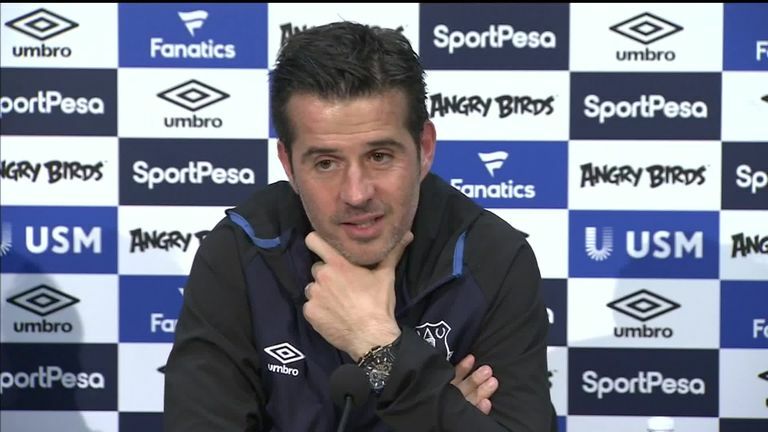 "I haven't had time to work with all our players"
Everton manager Marco Silva says it is too early to talk about the January transfer window and is completely focused on his current squad. Silva had a successful summer transfer window bringing in six new players, including £40m Richarlison. However, Everton were plagued early in the season with injury problems, most recently with summer signing Andre Gomes out with a hamstring injury. Midfielder James McCarthy has also been out of action since breaking his legs in January this year. When asked if he thought he needed further options in his squad, Silva said: "It's too early. I didn't had time to work with all our players. Some of them didn't had a minute with the squad. They didn't had a minute in the competition." "We have enough time to talk about the [transfer] situation. My focus is on our squad. "We have many things to improve. We have quality inside [the squad] to improve if we have them [players] in good condition and ready to play." Everton currently sit 11th in the Premier League, three places behind their eighth-position finish last season. Silva did admit that while he is focused on his current team, the club is "always working with me behind the scenes as well". There was some positive news about Gomes and Yerry Mina, however, as Silva confirmed they are both back in training and will be available for the Crystal Palace game after the international break. 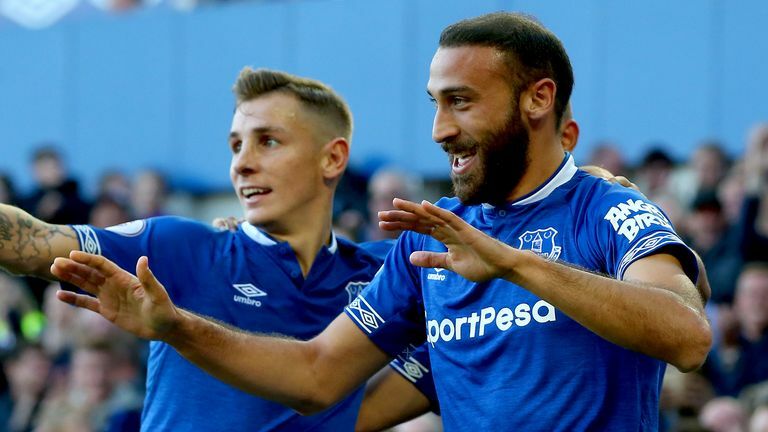 The Toffees boss also reflected on the success of on-loan striker Nikola Vlasic saying it is possible for him to come back to the club. Vlasic is currently on a season-long loan at CSKA Moscow and seems to have found his feet within the Russia League. and scored the winning goal against Real Madrid to give Moscow a 1-0 victory in the Champions League in midweek. "He's playing well," said Silva. "We will follow him and we will make the decision. It's important he's playing and playing well."